Both cars look great man! 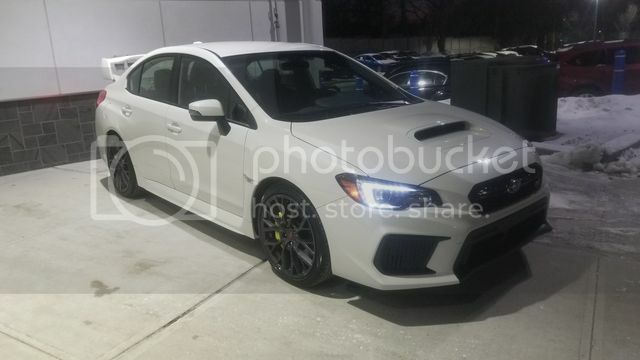 The new 2018 STIs are gorgeous. I get it man, sometimes you just gotta buy the car that clicks with you. I think we all get too caught up with analyzing what car we should get and then we think the fun right out of it, sometimes you land on a car that moved you in some fashion and if you're fortunate to find it you should jump on it, especially if it left a lasting impression with you. Otherwise we would all be buying cars that won the the most recent comparison test. Did a little video . Also took of the Subaru emblems off the back. wow sounds and looks beautiful, that white color is superb. 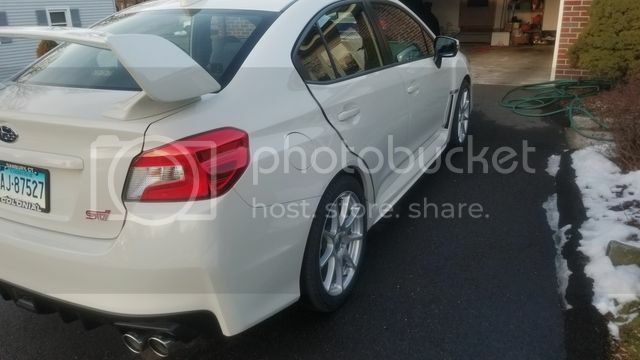 I test drove a 2018 wrx and was left unimpressed, it barely felt any faster than my old 9th gen civic si - salesman kept telling me during the drive "you just gota tune in like stage2 it'll feel as quick as a stock mustang", needles to say that sales pitch didn't work on me, all I did was nodded at the stupidity of his comment ,yea let me go throw away the warranty on my new 30k car. then I drove a 17 STi and it felt way better, not sure if its the gearing or the extra power but it felt like different animal. that's how I felt. 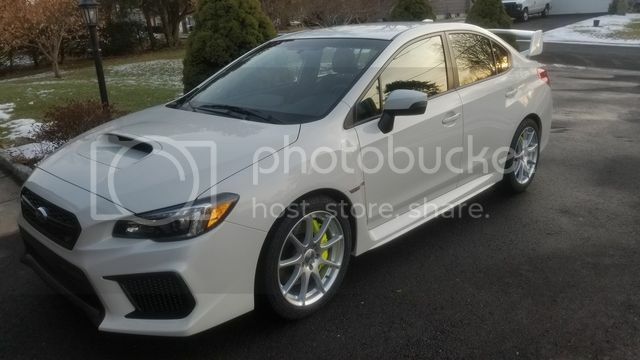 But idiot me I bought a 2017 limited wrx first . And was just so bored driving . Don't get me wrong it's a great car . It just lacks that sporty feel I crave . 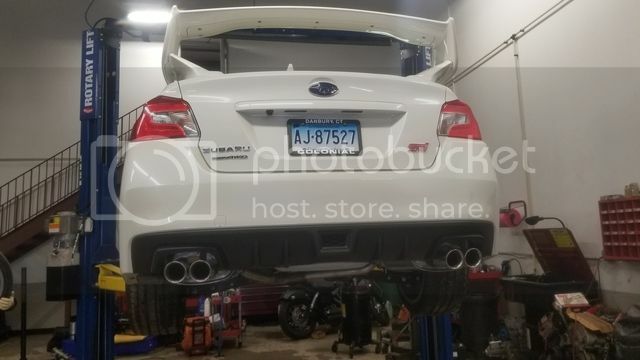 I also think Subaru purposely de tunes the wrx so people look at buying an sti instead . 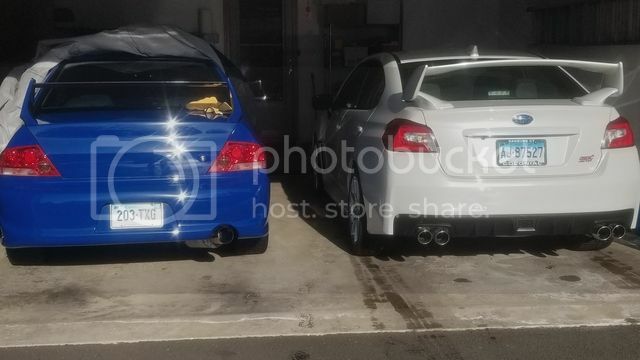 If I'm wrong someone correct me but a stage 2 wrx vs a stage 2 sti. The wrx takes the win. 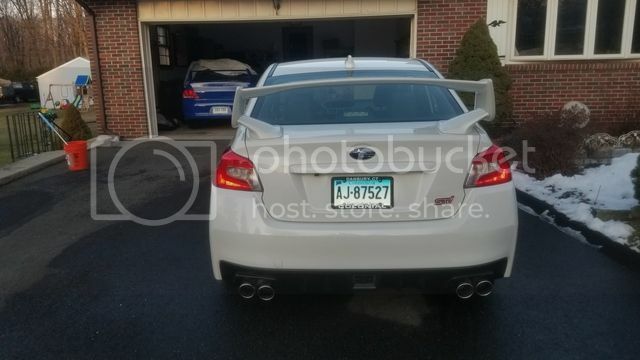 If I was gona mod I would've kept the wrx. But I need a DD. The sti fills the void of the wrx left with me while staying stock. Gave the sti it's first detail job today . It was filthy after only 2 days . And the first pic of these two rivals together .